Loving the attitude in the twi'lek's expression. Actually, in all of them, really! Great picture. 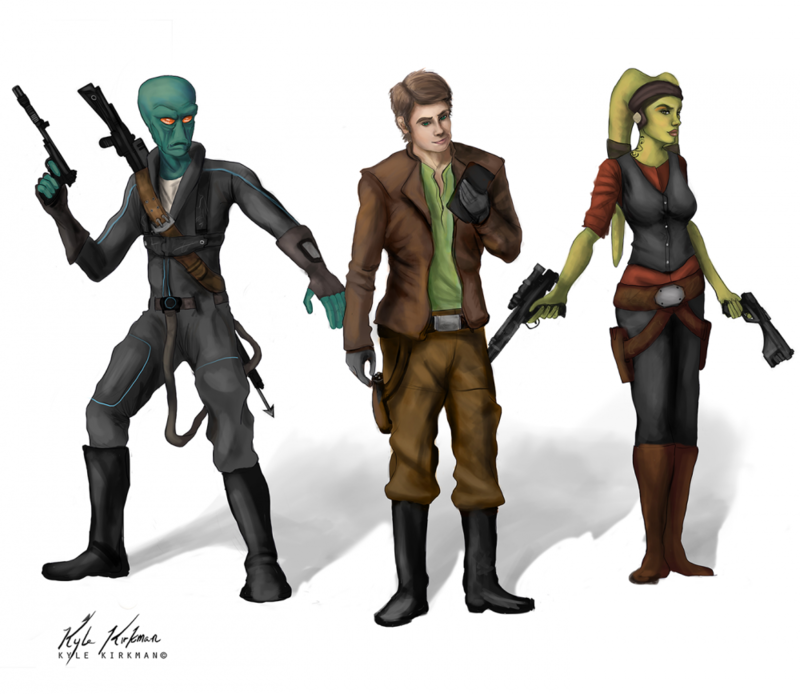 The Duros and Twi'lek look serious but the human is just care-free. They may be worried that the human will get them killed. Aliit ori'shya tal'din - "Family is more than bloodline"
A merry band it would seem. I like the gouache feel of the colors! Copyright © 2002-2019, The Star Wars Artists' Guild. All Rights Reserved. All original images exibited on this site are the property of their respective authors, except where indicated. as well as The Worx Company, through technical and graphical assistance. Star Wars ® Lucasfilm, Ltd.